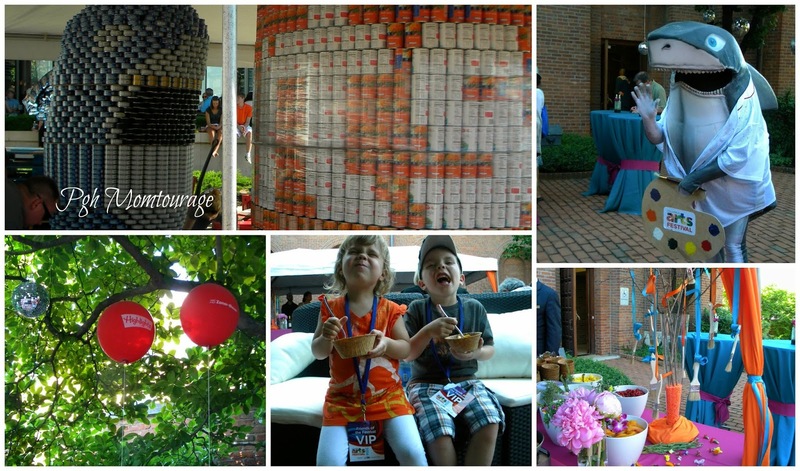 Pgh Momtourage: In Review: We Went. We Saw. We Experienced Columbus! In Review: We Went. We Saw. We Experienced Columbus! You all might remember the recent Roar + Explore Getaway Package that we gave away. ExperienceColumbus.com was so kind to share the same package with my family and other Pittsburgh mommy bloggers. Although this getaway was sponsored by #Columbus, I assure you, we had such a wonderful time that this hearty endorsement is fully my own!! There were a few that couldn't make it this weekend, but let me tell you we had SO much fun hanging out together with our blogger friends and families!
. 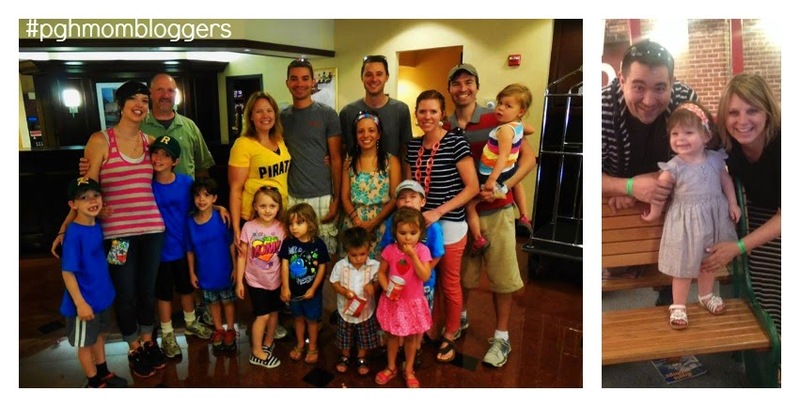 Although the number of Pittsburgh mommy bloggers is growing all the time, this past year, many have us have begun to work together on different projects and it's become a great community of friends. We love supporting each others endeavors! But overall it was great. 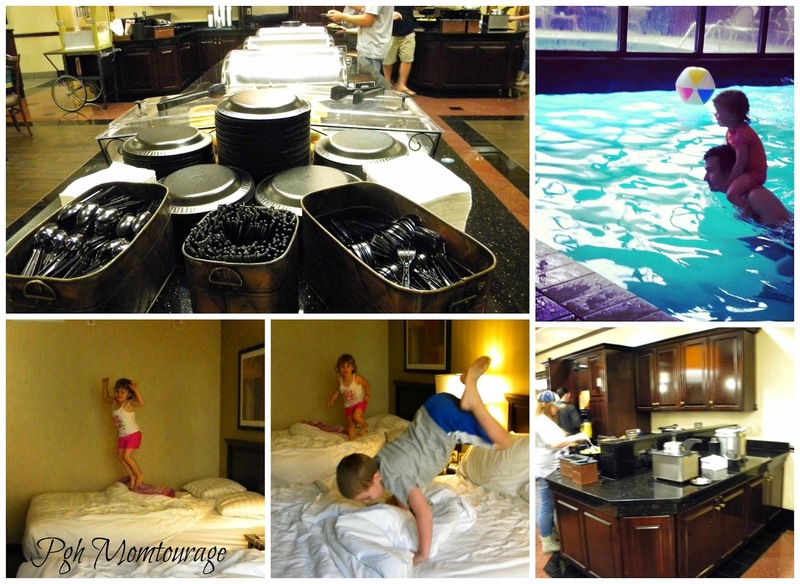 My kids happen to think that hotel beds are made for jumping. :) You can swim underneath the partition to go from the indoor to the outdoor pool. Also has a great hot tub! Our first night started with a walk through the city as we headed to the #columbusartsfestival. Columbus is a beautiful city, much like Pittsburgh being situated along the river. 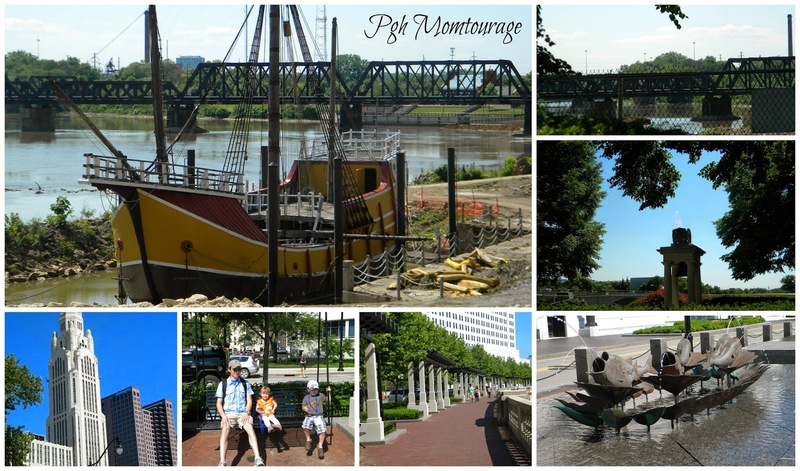 We loved their swinging benches along the riverwalk! 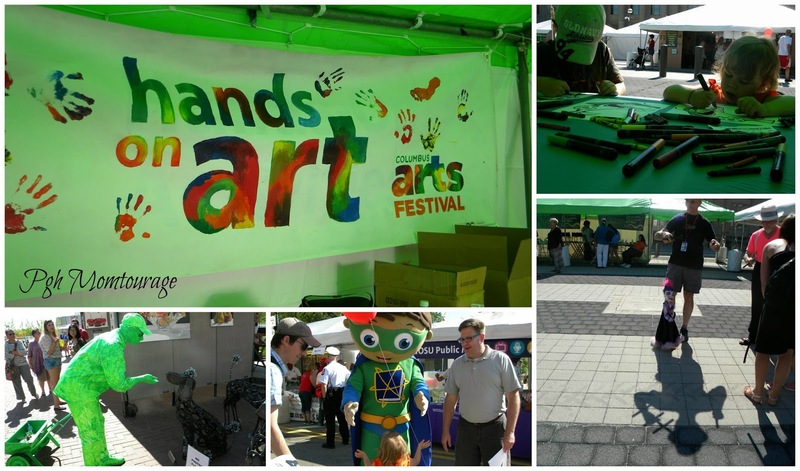 We had lots of fun at the Arts Festival Kid Tent, although, I proudly admit, Pittsburgh Arts Festival has so many great things for kids! You can see what is going on THIS week here. We were so glad that @expCols was available the whole weekend on twitter and gave us some great tips, including using the Cbus! 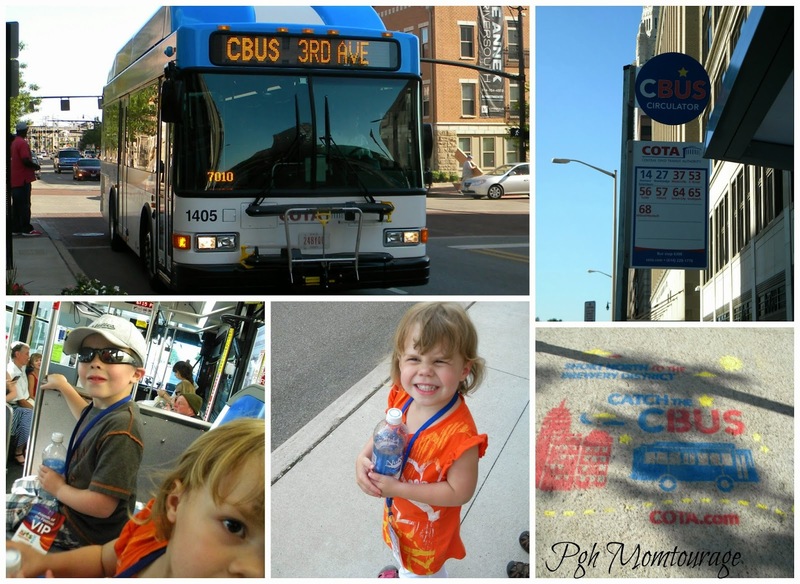 The Cbus is free all around downtown and was great for saving some little legs from as much walking! 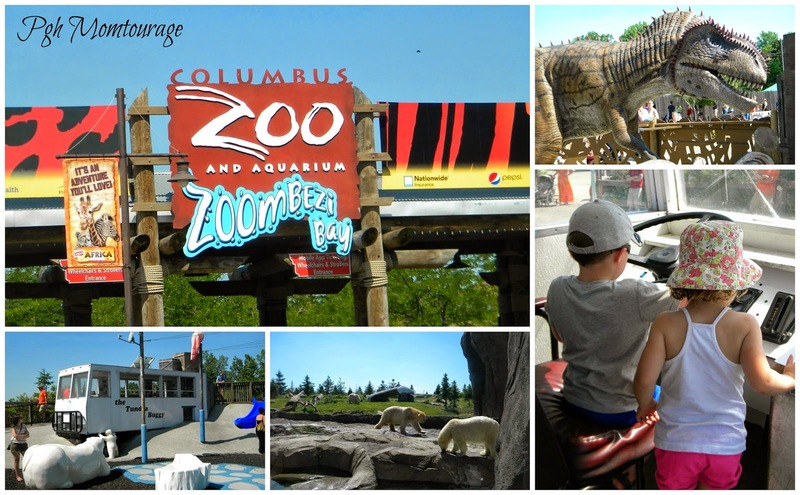 The next day we were ready to take on the Columbus Zoo & Zoombezi Waterpark! Because of our limited time frame, we had to do both in one day, but if you are going and can break them into 2 separate days you won't be quite as rushed. They are both HUGE & awesome venues! We had a shortened version of the zoo and definitely didn't see everything. 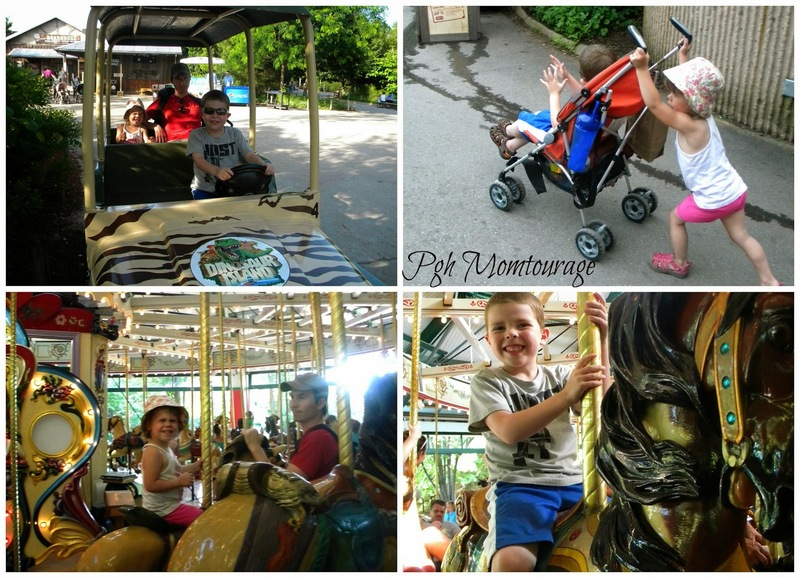 The zoo has so many things to do, has several playgrounds throughout, and even a boat ride through Dinosaur Island (we didn't make it there). Buy one of their souvenir cups for $10 and it's free refills all day! This is probably the cheapest way to keep your entire family hydrated, although unfortunately, you are limited to soda or lemonade. 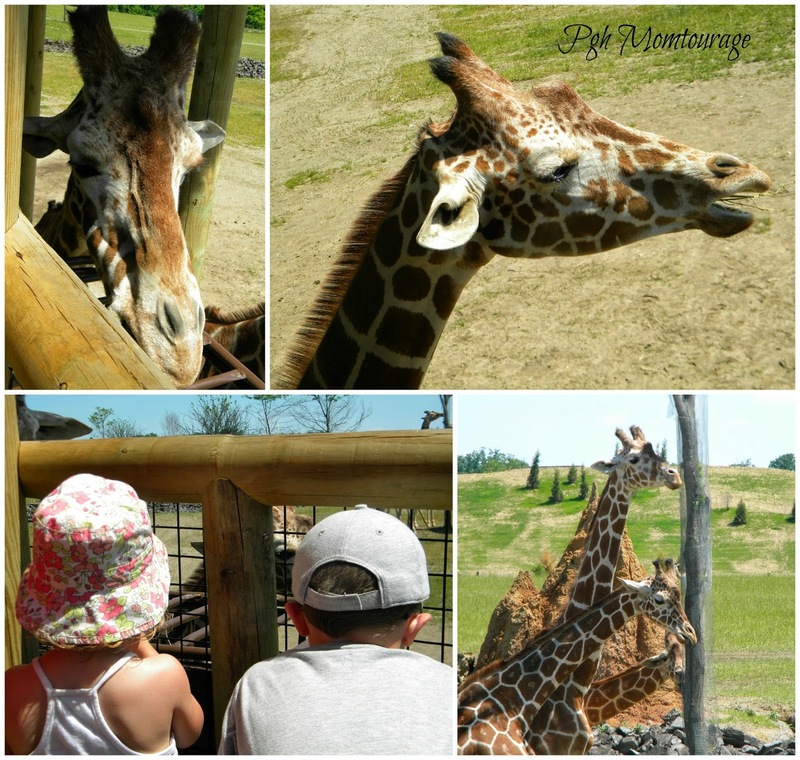 We even got up close & personal with the giraffes at feeding time! 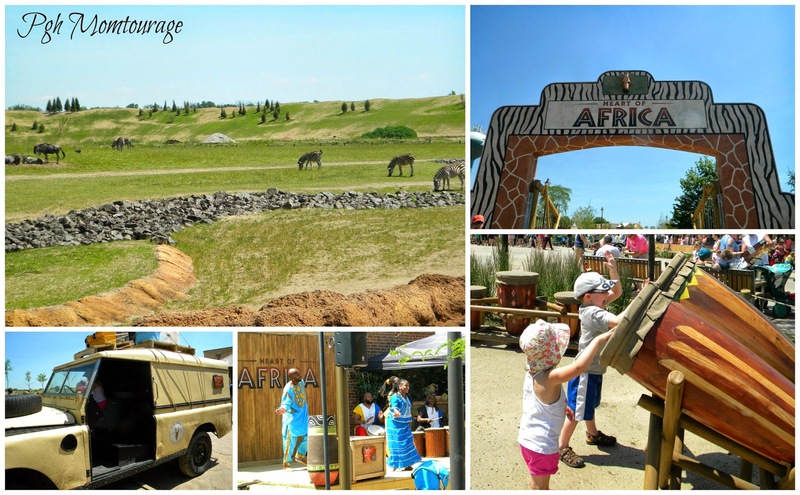 I was impressed with how much space the animals had to roam in the African exhibit. Giant turtles! And watching the grizzly bear swim. The aquarium has a fun hands on space. 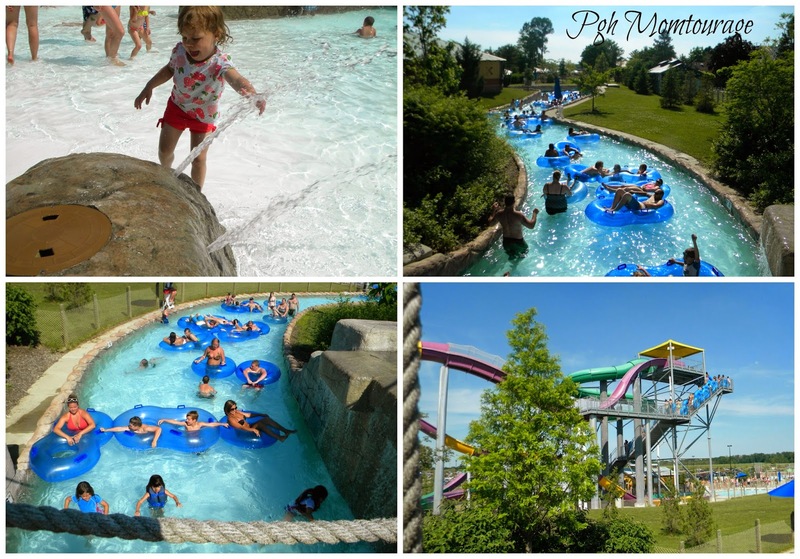 And then there's Zoombezi Waterpark.....my kids LOVED it! 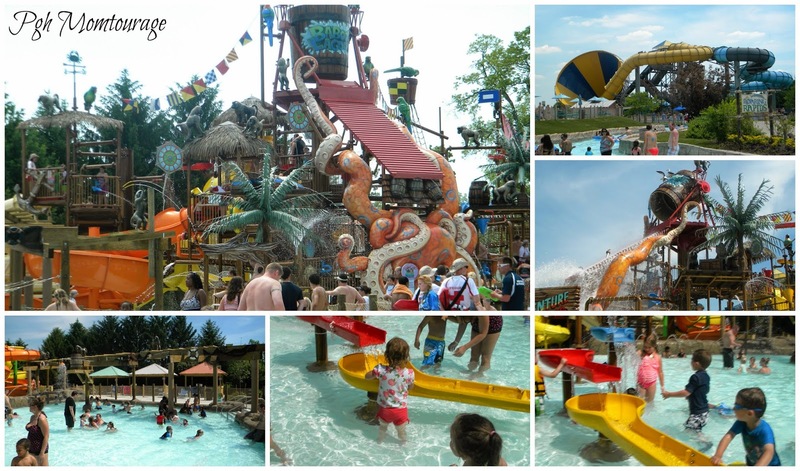 Baboon Lagoon is new this year and is geared mostly toward elementary/middle-school age. 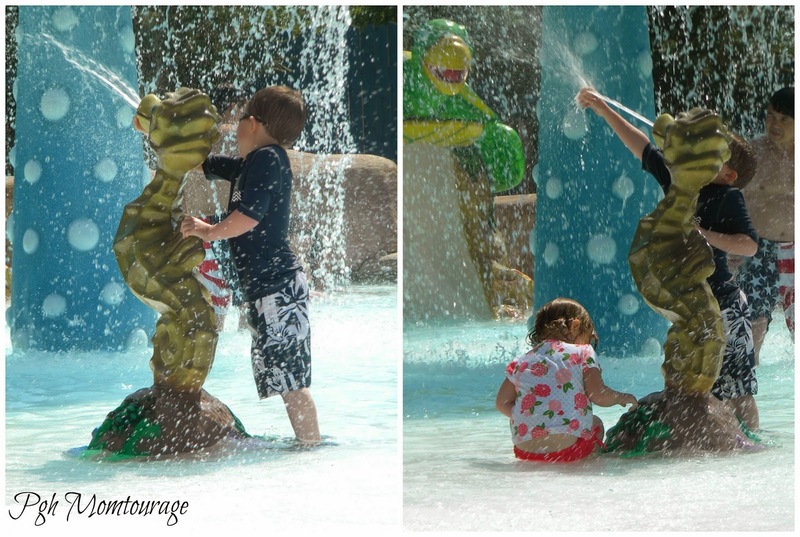 Lots of fun water features! 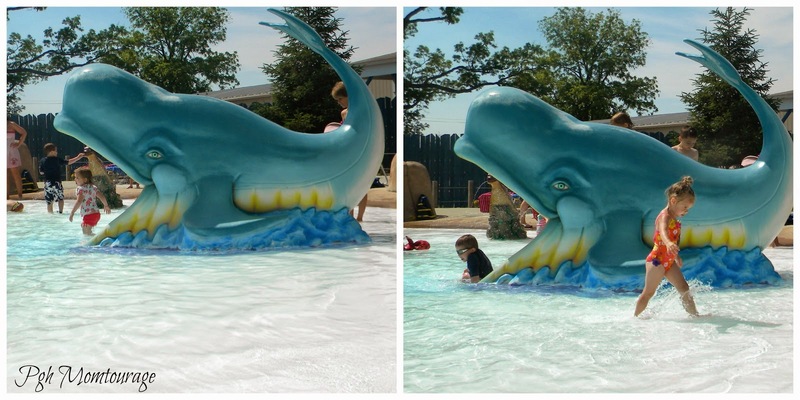 Tiny Tides is geared towards babies/toddlers with the whole pool being 12-14 inches deep. 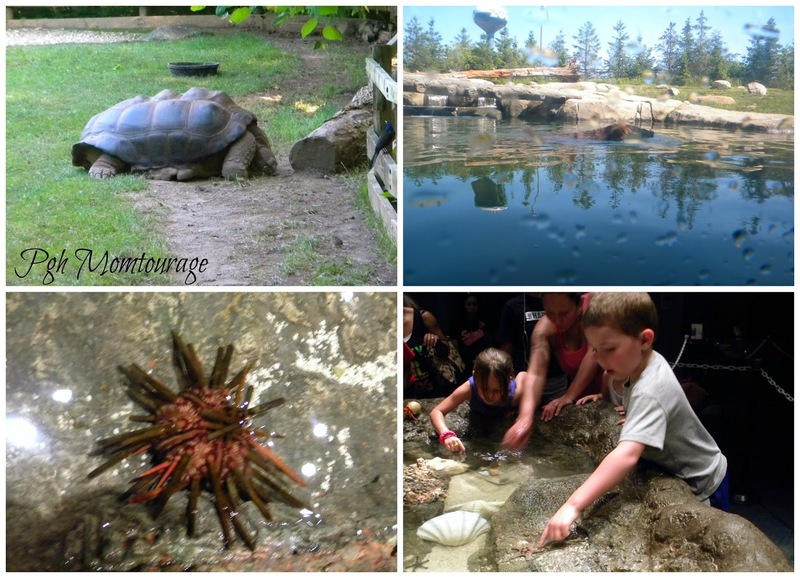 It also includes multiple marine animals that have slides inside and there are fountains and spraying animals as well. 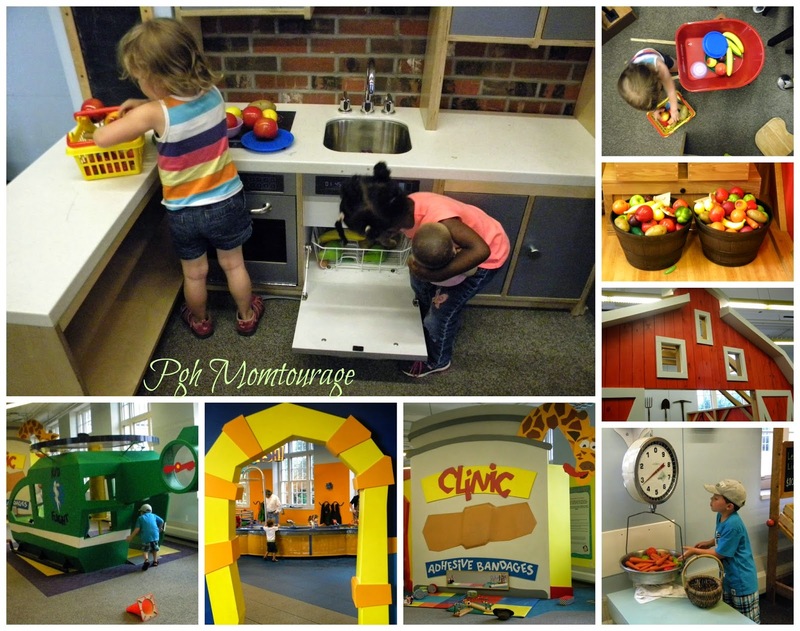 There's also a separate area that is a little deeper and is best for about ages 4-7. 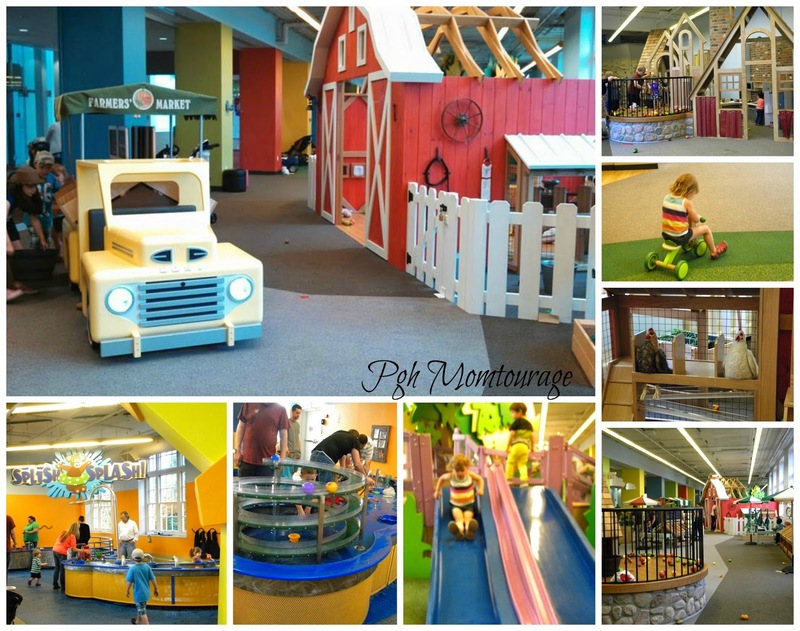 There are plenty of big rides & slides for older kids/teens/adults....so they definitely have every age group covered! My kids also love the lazy river! 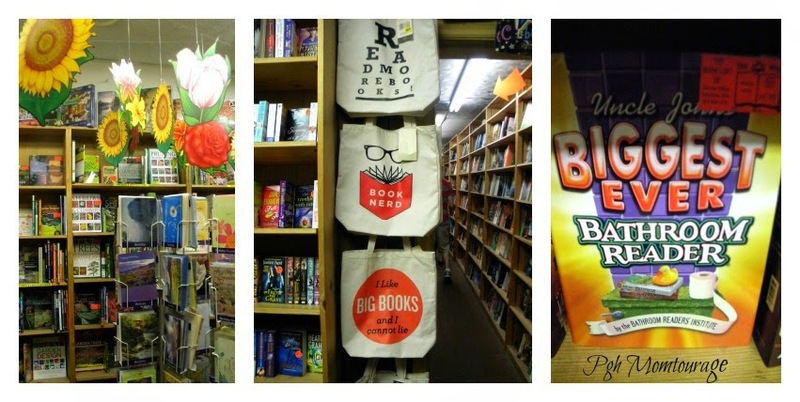 We HAD to check out The Book Loft. 32 rooms of books (including a children's room) and quite the amazing place! 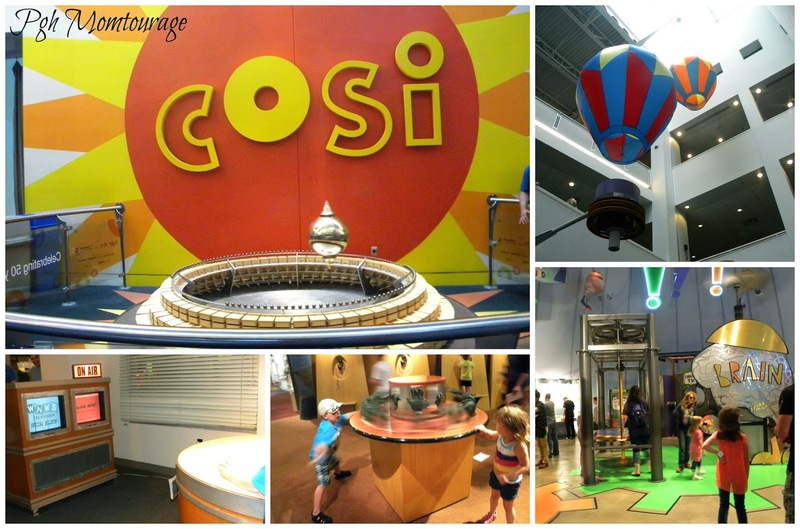 And lastly, we headed to COSI, the #1 Science Center in the country. 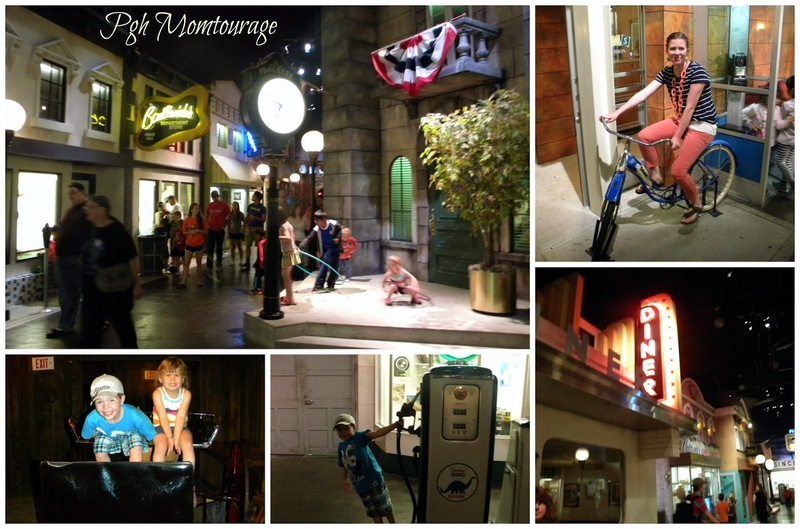 (Yes, we packed in a lot and my kids were troopers!) 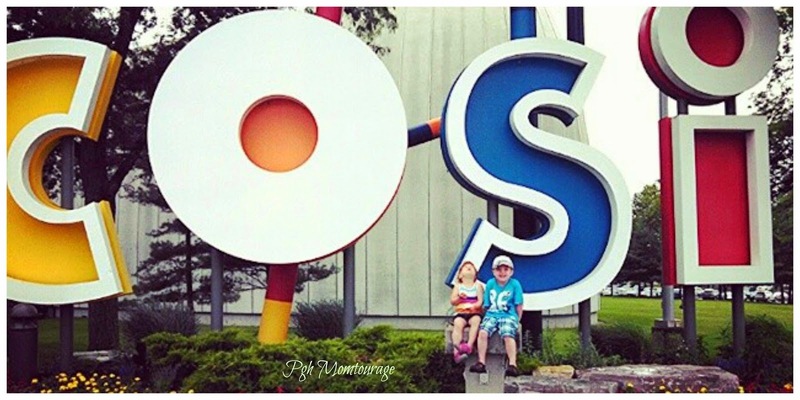 COSI is HUGE. We definitely didn't get to see everything in that space either. 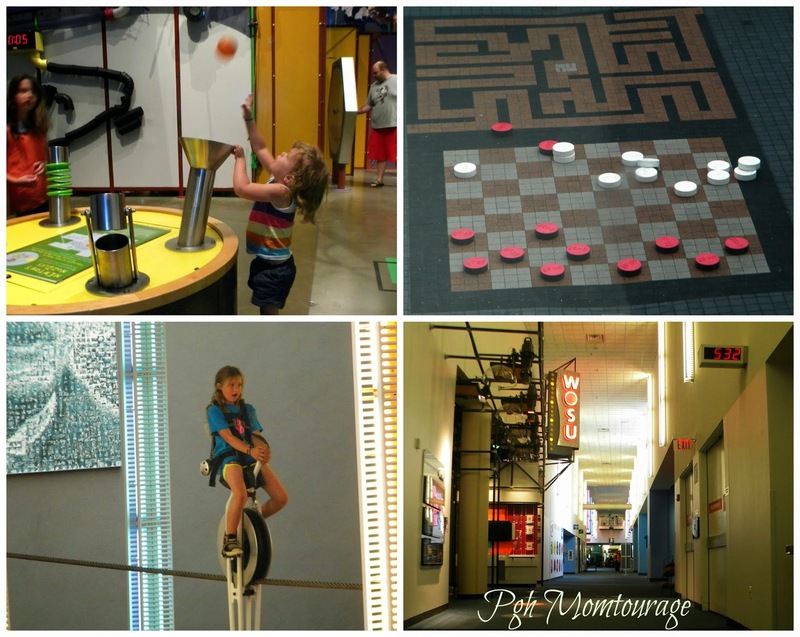 One of my favorite exhibits was inventions throughout the 20th Century. 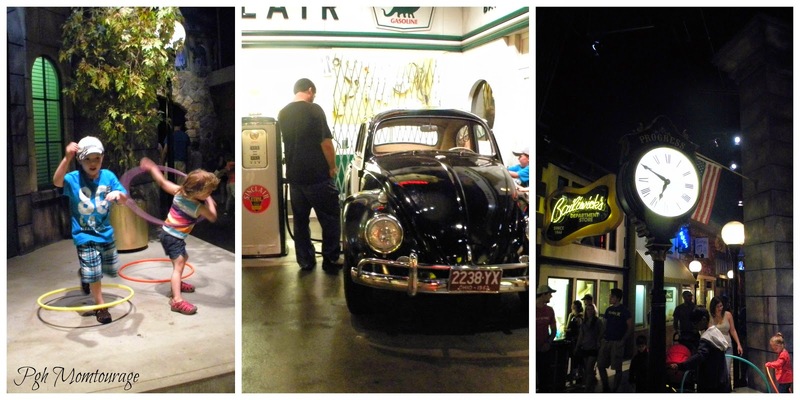 It was fun to see all the throw backs - things that really weren't that long ago! 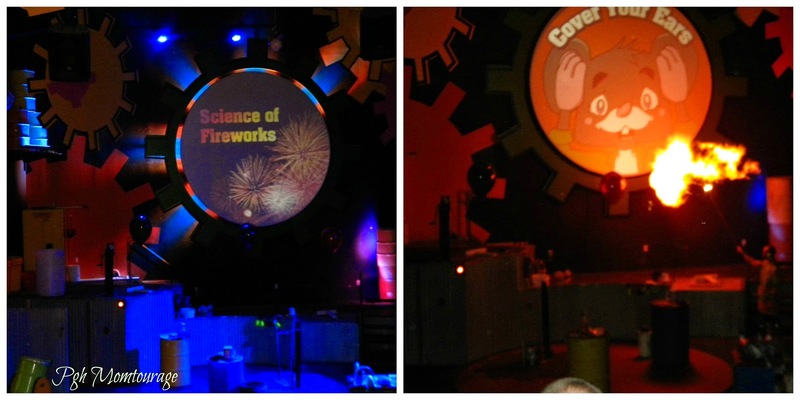 We took a brief sit break and watched the Science of Fireworks. Interesting & fun! BOOM! The checker game is outside and this pic was taken 2 stories up, it's quite the life-size version! 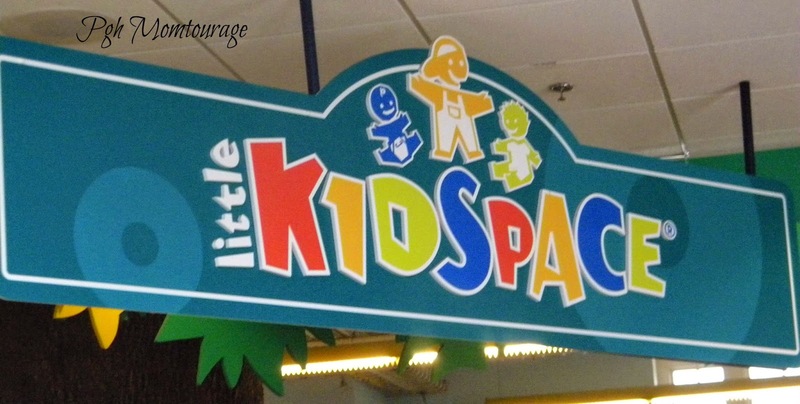 Little Kidspace was pretty incredible for babies/toddlers/preschool age. This little girl was holding a baby in one had and loading the dishwasher in the other. My daughter was busily preparing dinner at the counter. I think they've both seen their mommies do these things! We also had tickets for Franklin Park Conservatory & Botanical Gardens, but we'll have to use those next time! Thank you, Experience Columbus, for showing us all the awesome reasons to make Columbus a fun destination! 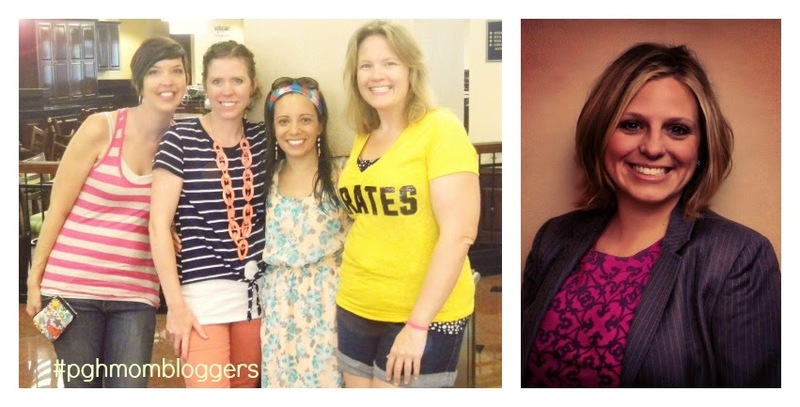 Thanks to my sweet blogger friends and their families for a wonderful weekend getaway! And our blogger friend, Heather (from Diary Of A First Time Mom), is currently giving away this package! Go here to enter to win! Or you can purchase the Roar + Explore package here! love you girlfriend!! great post,and great improv on the pics :) love you!